Trinseo (NYSE: TSE), the global materials company and manufacturer of plastics, latex binders and synthetic rubber, today debuted its 85% Long Glass Fiber (LGF) Polypropylene (PP) concentrate product family for automotive semi-structural applications. These breakthrough products were introduced at the Society of Plastics Engineers (SPE®) Automotive TPO Conference in Detroit, Michigan, stand 15. ENLITE™ PP LGF 1851 and 1852 are latest innovation in Trinseo's ENLITE™ structural polymers portfolio, which is built on the company's in-depth market knowledge and polymer expertise. The new ENLITE products have the highest glass fiber concentration (85%) of any PP LGF concentrate available commercially for automotive semi-structural applications, which enables lighter weight interior parts at lower total cost compared to steel and aluminum. “We know that lightweight is more than a trend in the automotive industry; it’s a necessity. We’ve also seen an increasing need for cost-effective semi-structural parts, and our new ENLITE™ LGF 1851 technology is a direct response to these demands. It is the first structural polymer with an 85% concentration on the market, offering manufacturers a more advanced, robust, and affordable solution for today’s lightweight needs, and it strengthens Trinseo’s role as a leader in this strategic business,” says Dagmar van Heur, Vice President, Performance Plastics. ENLITE products are developed for instrument panels, door modules, front-end modules, tailgates, and other interior and semi-structural applications that require a balance of dimensional stability, heat resistance and weight optimization. ENLITE™ PP-LGF 1851 and 1852 are a step-change improvement over the previous industry benchmark of 60% LGF concentration. Unique to the industry, the 85% glass concentration allows customers to achieve cost savings of up to 10% through significantly reduced compounding costs, which we pass on our to our customers, and other efficiencies such as the outstanding pellet robustness combined with good dispersion properties of the HiCon ENLITE products. The dispersability of the 85% concentrate is as good as traditional 60% concentrates, while delivering good impact resistance and durability in the final part. In addition, the outstanding pellet robustness of ENLITE 1851 and 1852 products minimizes generation of loose fibers during air conveying, which ultimately reduces production costs at the customer. ENLITE™ LGF 1851 and 1852 are now available globally and supported by a new, state-of-the-art production facility in Midland, Michigan, USA. 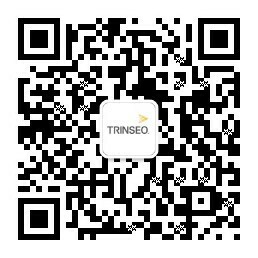 As part of the service offered with this innovative product family, Trinseo’s Application Engineering Development Center (AEDC) is available to support customers with material characterization for their end-products’ design engineering, and with support and optimization to help manufacturers realize their lightweight objectives and ensure the desired benefits in the physical products. Trinseo’s extended polypropylene offering includes a range of high-flow resins, providing excellent material performance related to low VOC and high flow, and enabling optimized interior parts related to air quality and weight reduction through thin-wall technology. With the addition of the new 85% concentrate, Trinseo’s ENLITE™ family of structural polymers is advancing lightweight technology in a diverse range of interior semi-structural applications, where customers value a balance of dimensional stability, heat resistance and weight optimization. Since 1998, the Society of Plastics Engineers (SPE®), leading global OEMs and Tier Suppliers, as well as the TPO supply chain have pooled their resources to create the SPE® Automotive TPO Engineered Polyolefins Global Conference, highlighting the importance of rigid and flexible polyolefins (TPOs) as well as a growing range of thermoplastic elastomers (TPEs) and thermoplastic vulcanizates (TPVs) throughout the automobile and in other forms of ground transportation. For more information, visit the conference’s site at www.auto-tpo.com.